It’s the time of year when we decorate our homes with all sorts of wonderful plants. These plants bring color and fragrance to our homes making a joyous time of year even more wonderful. 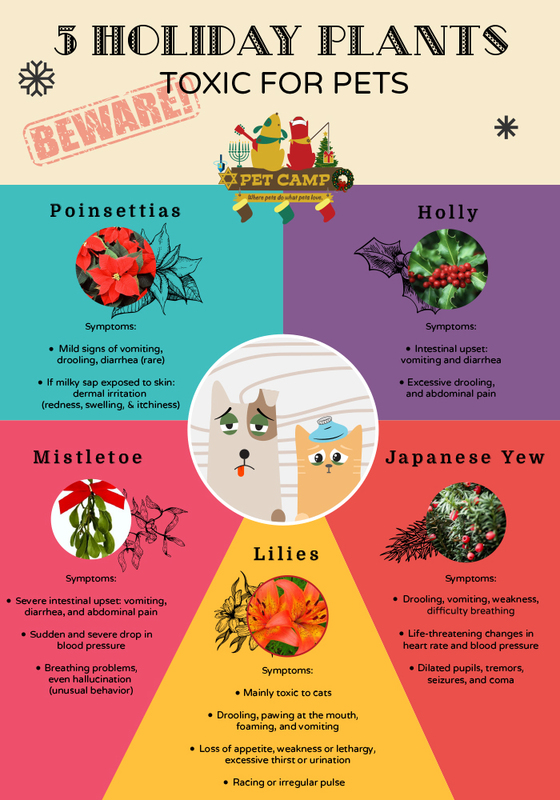 That said, some of the most common holiday plants are not so wonderful for your pet. There are 5 common holiday plants that are worth mentioning: poinsettia, holly, mistletoe, lilies, and the Japanese yew. See our handy infographic down below!